Betfair is best known for being the world’s largest Internet betting exchange and the company HQ is based in Hammersmith in West London, England. Entrepreneurs Andrew Black and Edward Wray founded Betfair in 2000. 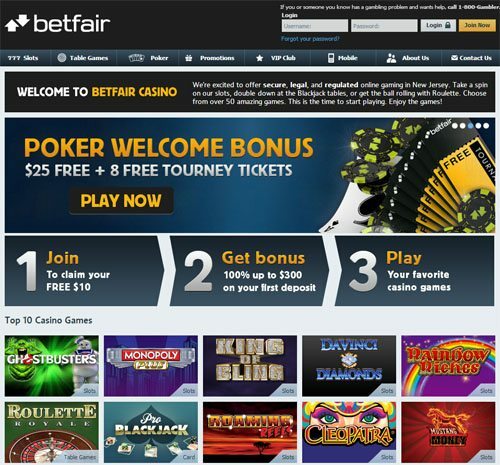 Nowadays Betfair operates all around the world and offers casino and poker games along with operating the world’s largest betting exchange. With the legalization of online gambling in New Jersey, Betfair became one of the first operators (partnering with Atlantic City’s Trump Plaza) to offer legal online gambling within the state. 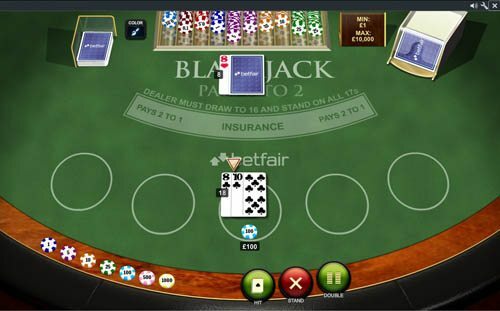 Betfair offers a selection of 20+ slots, a wide selection of BlackJack, Roulette and Video Poker games. At this point Betfair doesn’t have a downloadable client, only a browser version. The browser lobby is intuitive and very easy to use though. The navigation between games is straightforward with no unnecessary information in between. You won’t even see any advertisements! Once you choose a game, you can view a demo of it if you have never played it before. This will help you understand the basics of new games and try out different games without wagering any money. All the games will be opened in a separate browser window. The interface is very pleasant and easy to use. In most games, you will quickly adapt to the layout. A free mobile client is also available for both IOS and android. The app can be used on smartphones as well as tablets. Right now Betfair may not offer as wide a game selection as its European counterpart, but it’s definitely getting there! 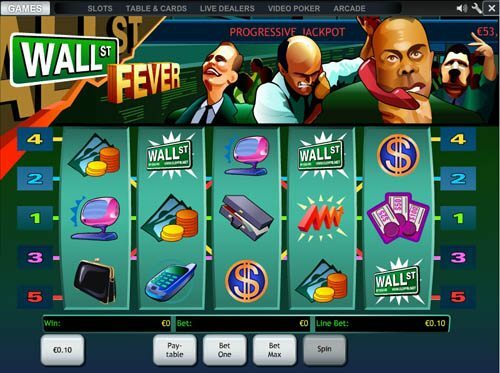 All the popular games like slots, blackjack, roulette and video poker are available in numerous varieties. Some of the best games available include 4 types of blackjack. You can choose between regular blackjack with side bets. 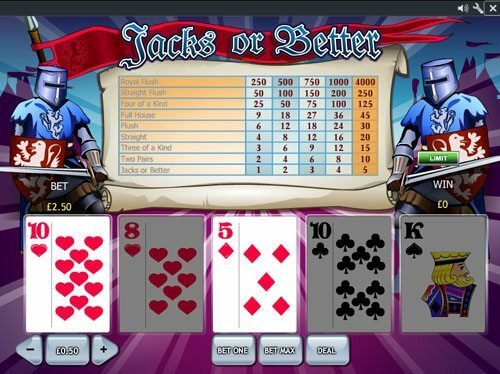 This game offers three side bets, the “King’s Bounty“ side bet, “Bet the Set 21” side bet and “Royal Match“ side bet. If you known your blackjack, then the „Pro Blackjack“ game is the one for you, featuring up to five hands per game and a turbo mode, allowing a $10,000 maximum bet. If you don‘t like loosing, then „Win Win Blackjack“ is probably your thing. Featuring a „Rescue Bonus“, this the only type of blackjack where you can end up in win win situations! 3 quality roulette games are also available, including “Roulette Royale” which features Turbo mode and side French bets. If fast action and side bets aren’t your thing, then try “Double Bonus Spin Roulette” which is a miniaturized version of the classic roulette with only 12 numbered slots and an additional slot labelled zero. And last but certainly not least, is the classic European Roulette with HD broadcast of a live casino, so dive into the real casino atmosphere today! Once online gambling went live in New Jersey, some operators experienced difficulties with processing deposits, but now the situation is getting better, so there shouldn’t be any problems with depositing or withdrawing money from your account. Before making a deposit, however, Betfair will need to verify your age and address to be sure that you are eligible to participate in the games offered. Betfair accepts a variety of deposit options, including Visa debit and credit cards, MasterCard debit or credit cards, ACH, wire transfers, personal checks and cage deposits at Trump Plaza in Atlantic City. However, not all of the methods that can be used for deposits can be used for withdrawals, so check carefully before choosing and don’t forget to read the withdrawal rules and procedures. The $10 will be credited automatically to your account upon successfully registering at Betfaircasino.com. There are no wagering requirements and you don’t need to enter a Betfair Casino bonus code, so you can start using your bonus right away! Unfortunately, you can’t withdraw the bonus amount itself, but any winnings you should accumulate will be yours to keep as long as you later make a qualifying deposit to your account. Betfair’s helpdesk provides support via Email and additional support via live chat and phone. Before contacting support you might want to check out the handy FAQ section which might have the answer to the question you are looking for. Live chat is available from 9:00 am – 2:00 am EST. You can reach support by phone at 877-689-0662 from 5:00 pm – 2:00 am EST. Be sure to include your username in all correspondence.